Oopah! Members of former PAX teams in Greece met for a reunion at the MCC Welcoming Place in Akron, PA, June 5-8, 2008. Coming from California, Oregon, Florida, Canada, New York, Kansas, and other distant states to meet with local members, the group of 100 included spouses and children. 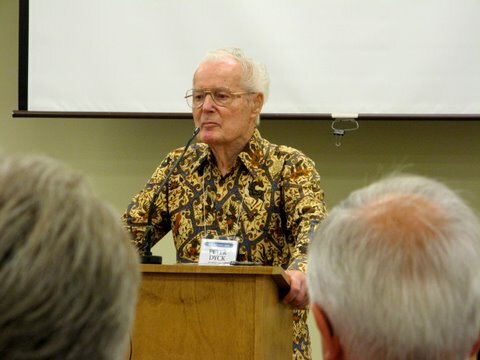 Peter Dyck, who was MCC’s director of European and North African work during that time, was a speaker and guest. 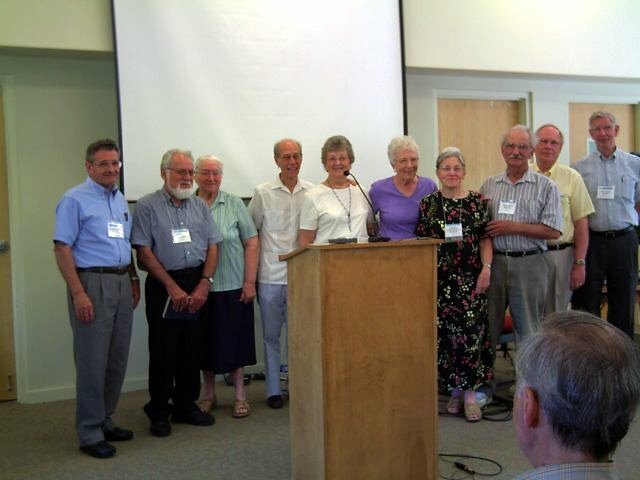 Orville Schmidt presented a video of a Greek PAX tour in 2004. The PAX program began in Greece in 1952 and ended formally in 1972. Projects for agricultural development and research, fruit and vegetable canning, and building of farm buildings for demonstration and education were undertaken in northern Greece and on the island of Crete. 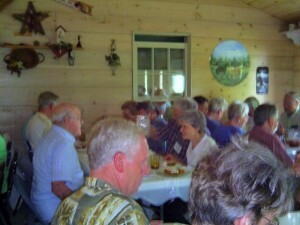 Local members organized the reunion event. Introductions and reminiscences began the program. On Friday a tour of Lancaster County included visits to MCC’s Material Resources Center and Ten Thousand Villages’ warehouse, and the Mennonite Information Center with the Hebrew Tabernacle. Dinner at an Amish home was a highlight of the day. Saturday’s visit to the Greek Orthodox Church of the Annunciation, Lancaster, PA, had special meaning as Father Alexander Veronis briefly explained the icons decorating the church and distinctive features of the Greek Orthodox faith. Young people from the church, dressed in traditional costumes, exhibited their Greek dancing skills for the enjoyment of the group. Also on Saturday’s program, after Peter Dyck related the story of PAX’s beginning, Ron Flaming and Chris Landes brought the group up to date on MCC activities and issues. 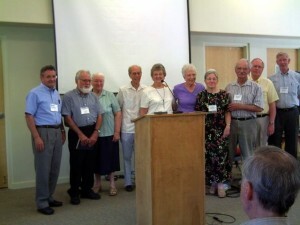 Joining the Greek Paxers for the Sunday worship service were students at MCC’s Summer Peace Building Institute. After Ken Sensenig’s sermon, Sikhylulekile Mkandla from Zimbabwe responded with a few words about forgiveness and peace in her country. Many of the group committed to pray for the leaders and people of Zimbabwe for changes of heart that would alleviate the suffering there.